Worcester Academy Summer Programs offer a wide range of opportunities to meet all types and levels of interests. Many of our programs are drawn from the school's challenging, comprehensive program of academics, athletics, and the arts, and feature seasoned and talented teachers and coaches from the Worcester Academy faculty. All of our summer program directors and staff are committed to creating an engaging, constructive, and safe place for your child. Combine that with our camper-staff ratio of 8:1 and you have a day that is appropriately structured, with individualized attention, and, most important - fun! It's simple. Edge on Science is a place where your child has the freedom to explore applied science & engineering. Individual and team projects are employed, for a hands-on experience. Whatever skills or abilities your child has, we meet them where they are and guide them to the next level. Along the way, they will unplug and make new friends. It's what we do! Hale Day Camp (HDC) offers a wide variety of summer camp experiences. From our Traditional Camps to our Outdoor Adventure and Mountain Biking Camps to our Leaders in Training (LIT) program for teens, we deliver a summer of fun for campers aged four and up! Whether your camper joins us for the entire season or just a few sessions, we'll fill their days with adventure and have them home in time for dinner. We believe in the power of traditional camp activities in the great outdoors. Situated in a remote corner of Hale's 1,137 acres, our private campus features its own pond, lodge, athletic fields, and archery range where campers swim, hike, canoe, fish, learn arts and crafts, and more. HDC offers a safe place for campers to explore, make friends, and create memories that last a lifetime. 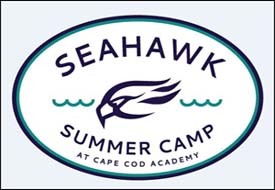 Early bird coupon savings for summer camp 2019. Send in your summer camp application along with a $275 deposit by March 29th, 2019. Offer expires 3/29/19. Limit one coupon per camper. eCamps Sports Network was founded in 2001 with one goal in mind - to develop the best day & overnight sports camps in America. Since that time, over 100,000 campers have attended our sports camps to have fun, make new friends, and get better. Our commitment to the individual development of each camper has been paramount to our success. We give our campers the opportunity to improve and become better athletes by providing instruction from top coaches in a fun and positive atmosphere.